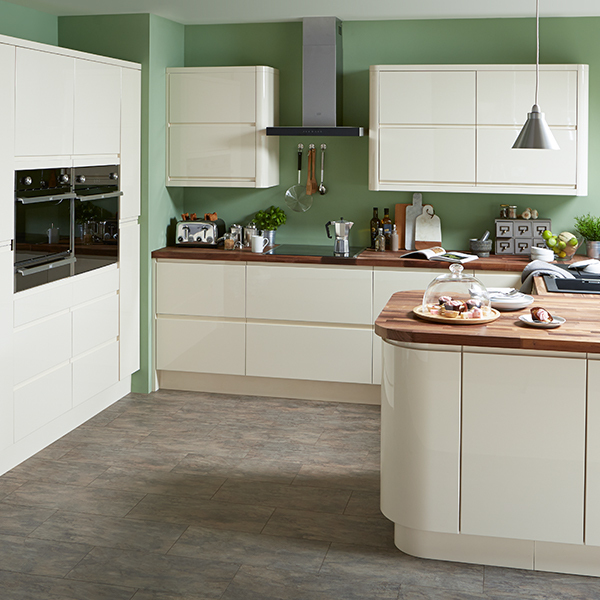 The finish (and colour) of your door is what really brings out the beauty of your kitchen units. 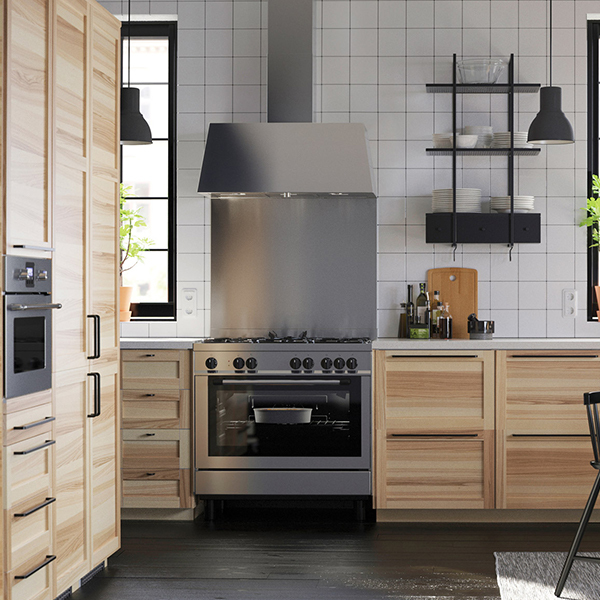 There are many different finishes to choose from, so it is easy to find the perfect one to complement almost any design and style. 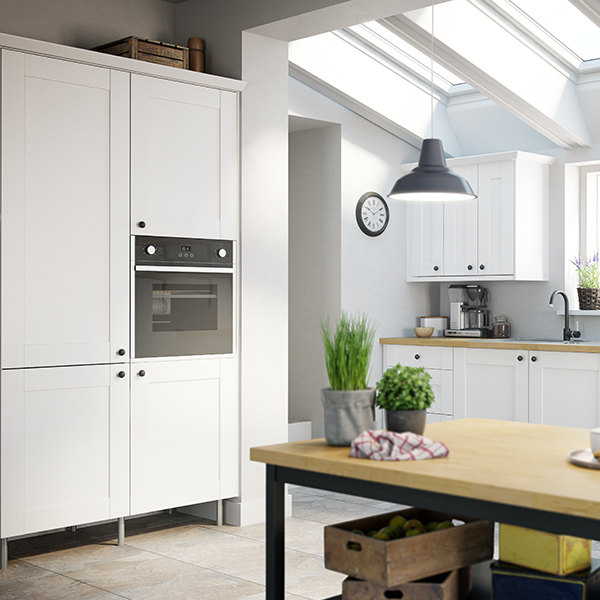 All kitchen retailers offer a range of different styles, door types and finishes from coloured high gloss kitchen doors to traditional solid oak. 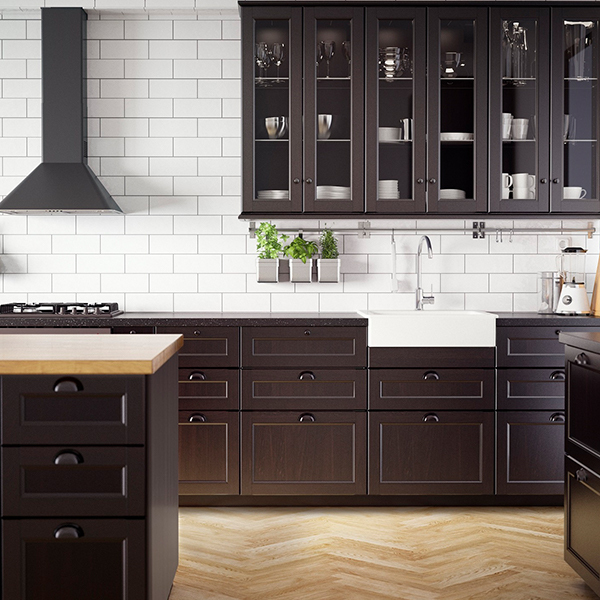 Many kitchen companies offer ranges that seemingly look very similar so it can be confusing when trying to get quotes to understand why there can be a big difference in price between ranges that look almost identical. The materials used and the complexity involved in both production and application has an impact on quality and hence final price. 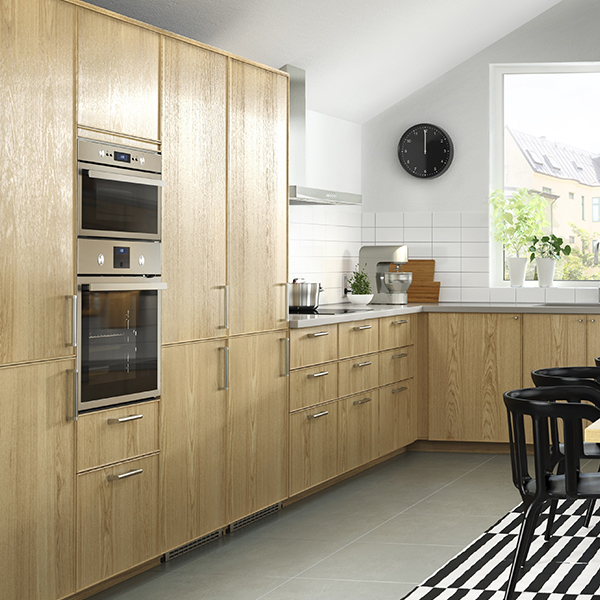 Solid Wood can be left untouched so that the natural look and feel of the wood can be admired. 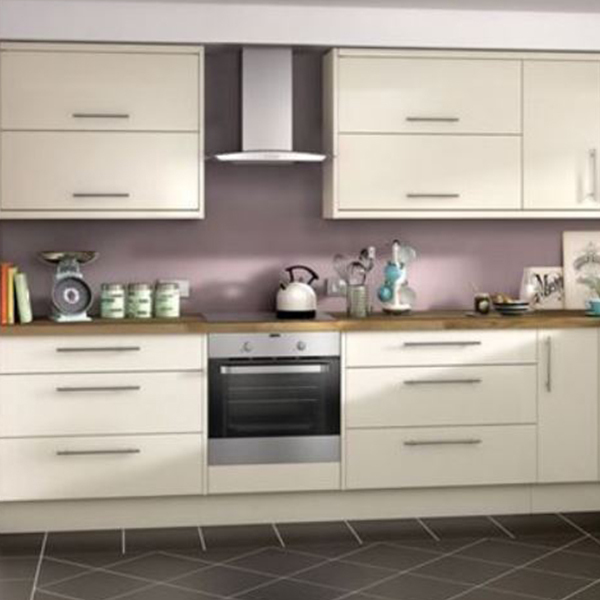 Alternatively, doors can be painted, varnished or stained to complement countertops, splash backs or flooring. Wood stains are topical colour treatments that alter the natural colour of the underlying wood whilst allowing the grain pattern to show through. A sealer should be applied on top of the wood stain to protect it. 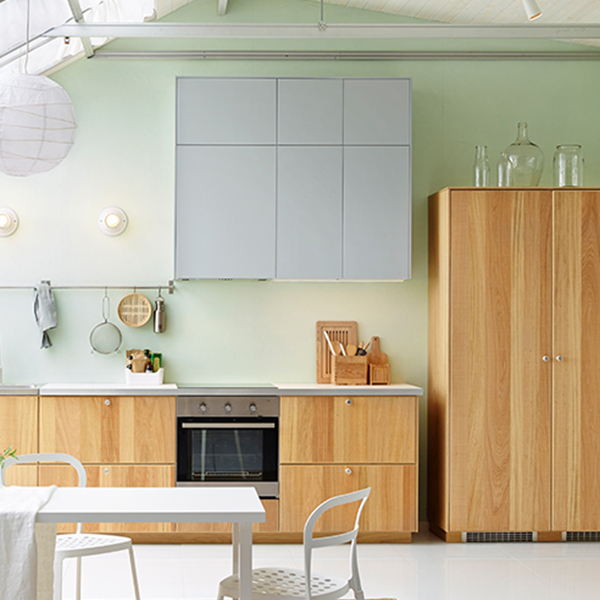 A painted finish is normally opaque, is available in limitless colours and is less restricting than wood stains. Doors can easily be re painted or touched up when needs be. Unlike paint, varnish is not used to colour the wood. A combination of oil and resin, its primary function is to protect the wood and provide a top sheen. Engineered Wood needs to be covered, edged and finished to provide a surface that is fit for purpose. It also needs to be protected to avoid the penetration of water and kitchen chemicals. 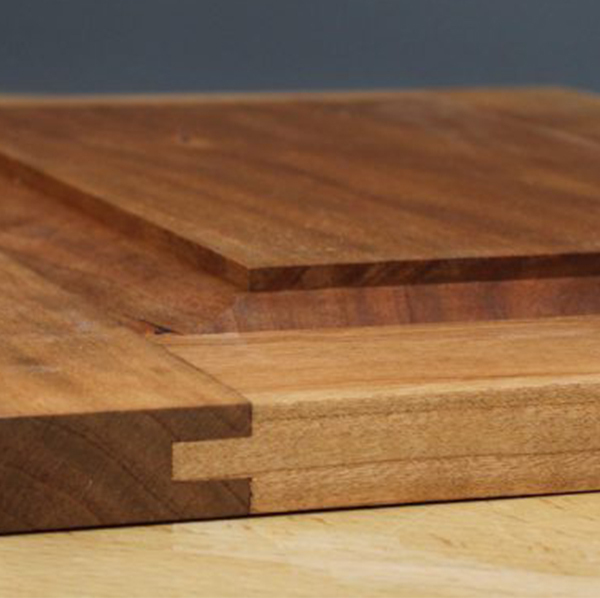 A wood veneer is a thin layer of real wood which is often treated with varnishes and stains. The wood is then glued to the MDF, plywood or particleboard. When choosing a wood veneer, thickness, grain pattern and colour should be taken into consideration. Veneers come in a range of different wood finishes such as oak, beech, birch, walnut and cherry wood. 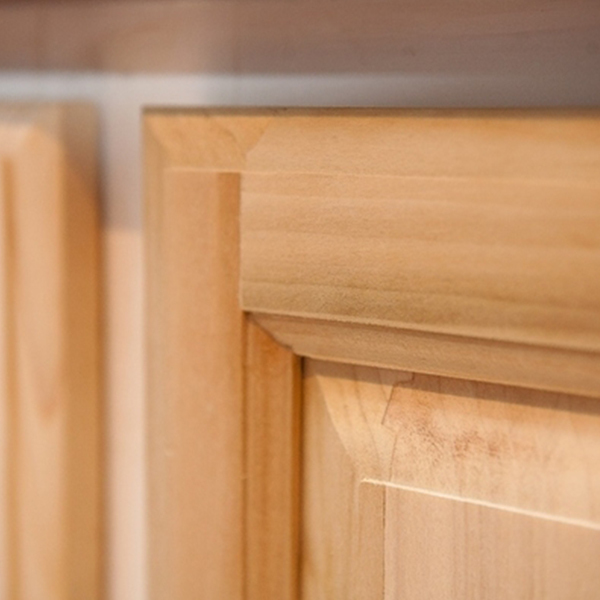 Wood veneer can be less durable, although it is less prone to warping than other finishes. MDF or plywood doors can be sprayed with various coats of a base, colour and lacquer finishes, and then highly polished. 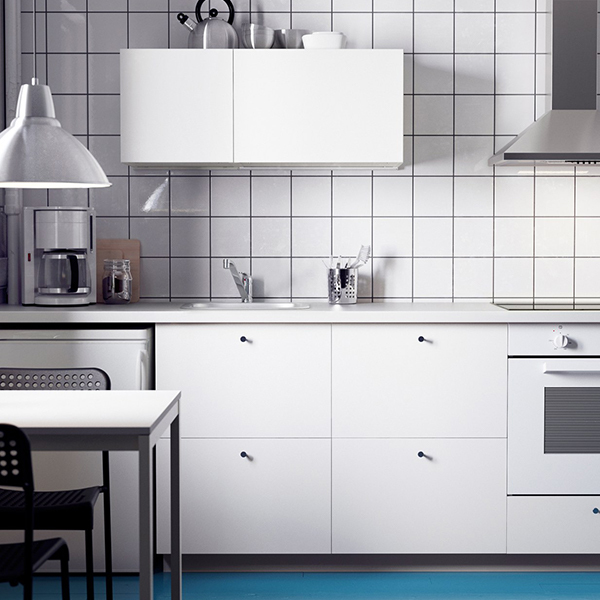 Available in matt or gloss, lacquer is also suitable for unusually shaped doors due to the spray application process. A lacquered finish is very practical and easy to maintain and provides great colour flexibility. It is applied to all sides of the door (including the backs), producing a seamless finish and a greater level of high gloss. 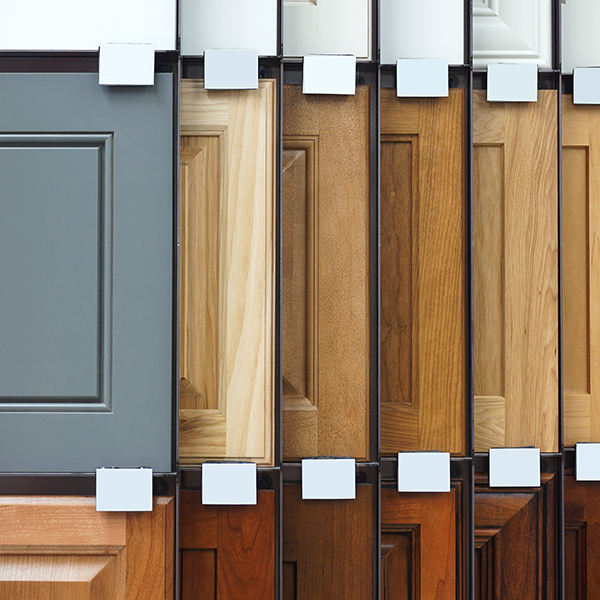 Due to its finish, a lacquered door is less susceptible to damage from heat or water. Thermo and High Gloss are examples of foils. 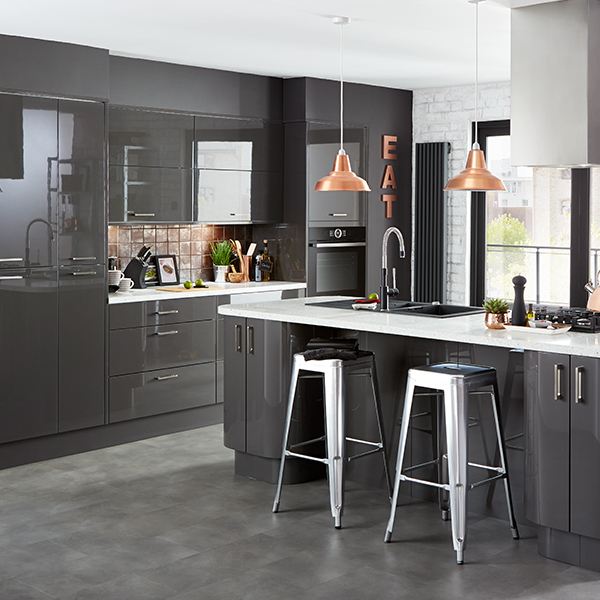 These are in fact vinyl coverings which are shiny, sleek and flexible and commonly applied to doors and cabinets providing a contemporary and modern look. MDF or plywood is wrapped, front and sides, with a very thin layer of plastic/ foil/ vinyl. These doors are extremely easy to clean and durable enough to resist chipping and cracking. They reflect light and come in a wide range of colours. However, high heat can sometimes cause foils to discolour slightly over time.